A tournament ad packed inside Canadian copies of ModNation Racers leads us to a Virgin Gaming countdown clock, indicating June 14 as the date for the unvieling of Virgin's new gaming service, along with an early partnership with Sony. 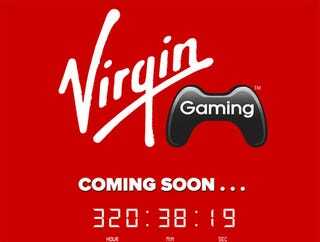 Last month we reported on Virgin boss Sir Richard Branson's return to the video game industry with an online-only gaming service that would span "the leading console formats and feature the most popular games on the market." While the service is set for a full reveal on the first day of E3 2010, we're seeing the first fruit of the service now, as Canadian readers tip us off to a ModNation Racers tournament run on VirginGaming.com in partnership with Sony and GameStop. Open only to residents of Canada, the tournament will pull 128 contenders from the ModNation Racers leaderboards, racing for a chance to win a trip to Las Vegas, a television, or various PSP prizes. The tournament kicks off on Tuesday, June 15. Backtracking to VirginGaming.com's front page, we're greeted with a countdown clock that looks to expire late in the afternoon on Monday, June 14. With a ModNation Racers tournament already on tap, and Branson talking about working with the most popular games on the market, could VirginGaming.com be a dedicated tournament portal, or is it something more? We'll know for sure come E3 2010.